Lagos — The replacement insurance on Nigeria Communication Satellite 1 (NIGCOMSAT 1) has been valued at $46 billion. This was disclosed in an interview with Daily Independent in Lagos by the managing director of Nigeria NIGCOMSAT), Timasaniyu Ahmed-Rufai. Speaking on criticism against government over the non-functioning of satellite installed during the regime of ex-president Oluseguun Obasanjo, Ahmed-Rufai argued that the failure of SAT 1 was not peculiar to Nigeria or the fault of the Chinese firm that put the satellite in orbit, but was due to an international crisis. 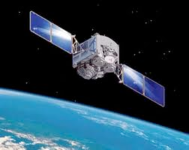 The NigComSat-1 was launched on May 13, 2007 and was sub-Saharan Africa’s first communications satellite. NigComSat-1 provided a backbone for both upstream and downstream telecommunication services. He said the SAT 1 replacement would be commissioned in September 2011 saying work on the satellite was almost complete. “These are space engineer experts from America, Britain and Russia, the risk analysis has been done, for Nigeria to invest N256 billion is no joke” he said. Twitter is down at the moment. Back soon!